If you are a student at university or are looking for a part-time job, you may want to consider working as an Esthetician at a local day spa. Estheticians often earn higher than minimum wage, receive service and or retail commision and discounts on products and services. Hours can be flexible and many even offer split shifts. Many spas and salons want to hire during their peak season which is summer and evenings and weekends. be paid in a range of ways, from hourly to commission or a combination of both. employees, working for someone else. Estheticians can work at fashion shows, hair shows, live theatres, and movie sets. as medical esthetics and servicing clients with medical conditions such as cancer. providing training sessions to salons are just two options. So how do you become an Esthetician? Start by googling local spas and salons in the area and see what the job opportunities look like. 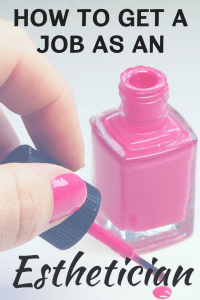 For peak seasons pedicurists are often the most needed. Makeup and waxing are also very popular services for summer. You will likely have to invest in a course to get you started. Some spas will even pay for the course or deduct the cost off your paycheck. No matter what area you choose to study make sure you choose a reputable education facility. Government websites will often have an up to date list of accredited schools. Some municipalities will require a license or a certificate to work but many do not. It’s is up to you to do the research. 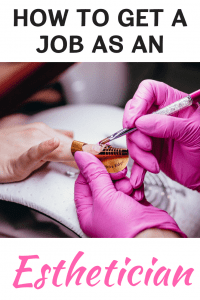 There is a list in our blog post “Should Esthetician’s be licensed” which will help start you off in the right direction to find out the requirements. Ask estheticians where they have gone to school and what they think the best option is. Search for google reviews and ratings to find the best school. It is not always best to choose the fastest or the cheapest course. You want the best quality education that teaches not only the services you will provide but also how to sell retail, engage with clients, and to properly clean your implements. Many accredited schools are now offering a weekend course or a part-time course in just the basics. These are fantastic and can get you started quickly in the industry. They are called modular courses. For example, you can take the pedicure course on a weekend then maybe if you want to learn makeup you can do that a few months down the road. You could keep adding to your list of qualifications and eventually attain and entire Estheticians license or certificate. In the end, it’s up to you. 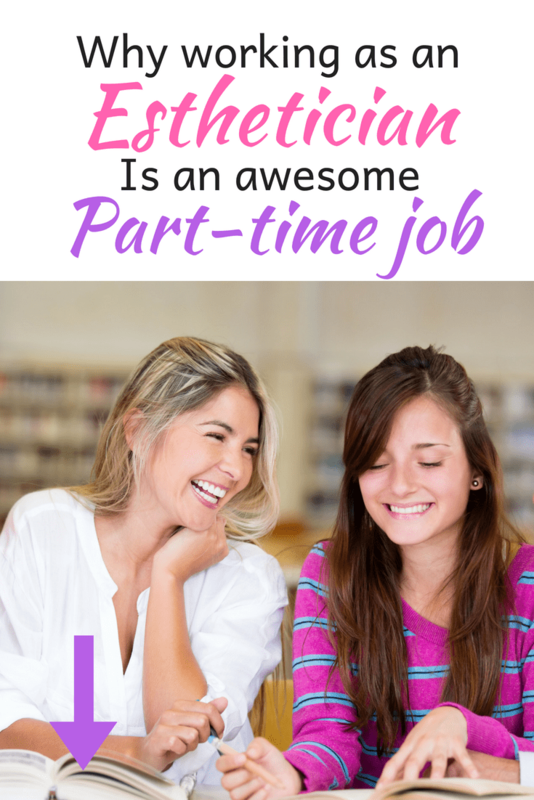 I’ve seen plenty of Estheticians work their way through university by working part-time in a luxury spa and even keep those jobs afterward because they enjoy the work. When you do find an accredited school use the free educational manuals in our list of resources as study guides. All you have to do is look at the local job boards online. Many spas will post an ad that will give you the information on how to apply for a job. Search for your top 10 potential employers and email them your resume with a cover letter explaining the types of services you are certified as well as you’re hours of availability. Most of these spas will also post on their facebook when they are hiring so make sure to follow their pages. You could also message them via facebook or email and ask if they are hiring and how to submit your resume. Next → Next post: Why Prime?